You bring the money, and Emerald Coast Theatre Company (ECTC) will bring the funny. On Wednesday, April 17, at 7 p.m. ECTC will convert its performance space at 560 Grand Boulevard in Miramar Beach into a comedy hall. Proceeds will benefit ECTC’s $125,000 capital campaign. The first act of Cash for Comedy will open with improvised comedy by the Side Splitters, a comedy improv troupe based in Panama City. As their name suggests, Side Splitters’ in-the-moment spontaneous comedy, based on the suggestions provided by the audience, will make you laugh so hard, you’ll split your sides. The second act will keep the laughs rolling with two hilarious stand-up comedy performances. 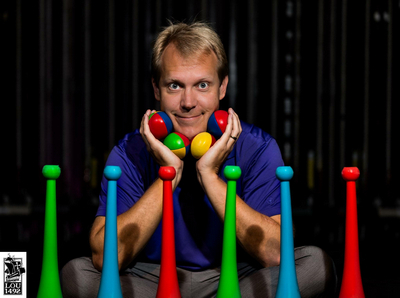 Actor-trained comedian Jason Hedden of Panama City is sure to warm up the house and tickle funny bones with fun-loving physical comedy, juggling and laser sharp wit. Damon Sumner, is an Atlanta-based comic whose comedy is centered in hilarious, witty stories about his upbringing and unique observations of everyday life. Described as “a blend of Kevin Hart and Jim Gaffigan,” Sumner’s credits include Epix’s “Unprotected Sets” and Prime Video’s “Indie Life.” He can be heard on Sirius XM’s “Rawdog,” seen on the podcast “Forth and Ten” and live on stage in Atlanta. In 2012, Damon toured China for a year and was a part of the team that opened Kungfu Comedy Club, the first full-time mainland comedy club in China. Sumner also has performed in illustrious comedy festivals around the U.S. including the Dallas Comedy Festival, Laugh Your Asheville Off Comedy Festival, Out of Bounds Comedy Festival and the Hell Yes Comedy Festival. Some of the items on ECTC’s “capital wishlist” include LED stage lighting, professional-grade sound system equipment, curtains, chairs, computers and printers, wardrobe and prop storage, a baby grand piano and more. 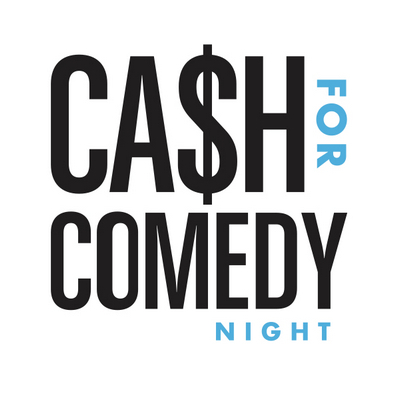 Tickets for Cash for Comedy are $95. Purchase tickets online at EmeraldCoastTheatre.org or call the Box Office at (850) 684-0323. ECTC is a non-profit professional theater company founded by Anna and Nathanael Fisher, MFA, in 2012 with a mission to enrich and entertain the Emerald Coast community through professional and educational theater. After six years, ECTC has clearly established itself as a professional theater company focused on staging thought-provoking productions, festivals and creative collaborations as well as a valued community resource for professional acting, educational theatre for children, and theatre for young audiences.